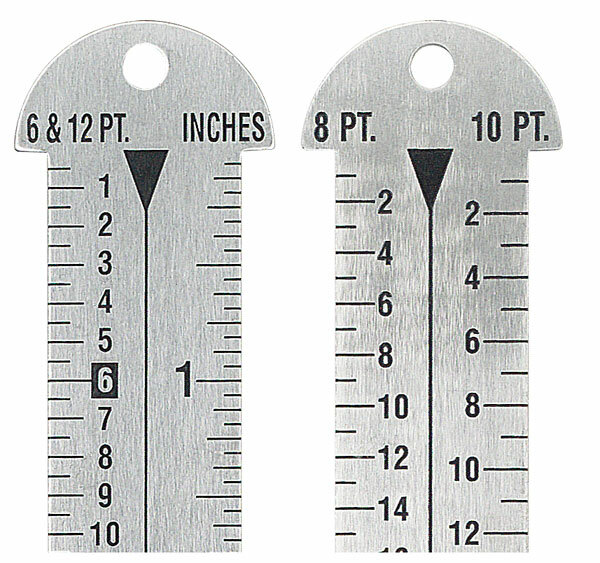 This 18" Printer's Gauge is made of the finest quality stainless steel. 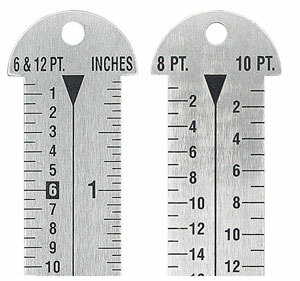 It has legible black markings in picas (6 and 12 point) and inches (16ths) on one side, with 8 and 10 point scales on the other side. There is a double hook and hole for hanging.